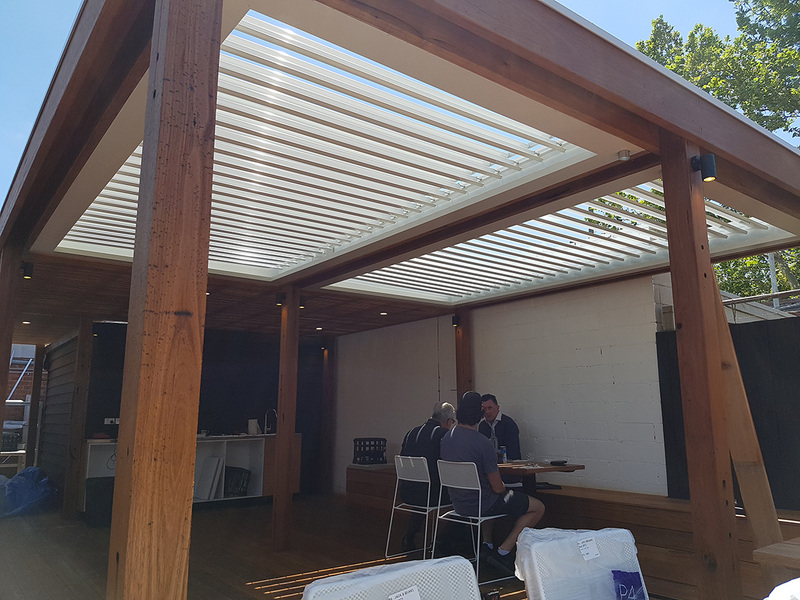 Ritz Ghougassian Architects approached us regarding this project requiring a premium outdoor shading solution for the cafe’s renovation. 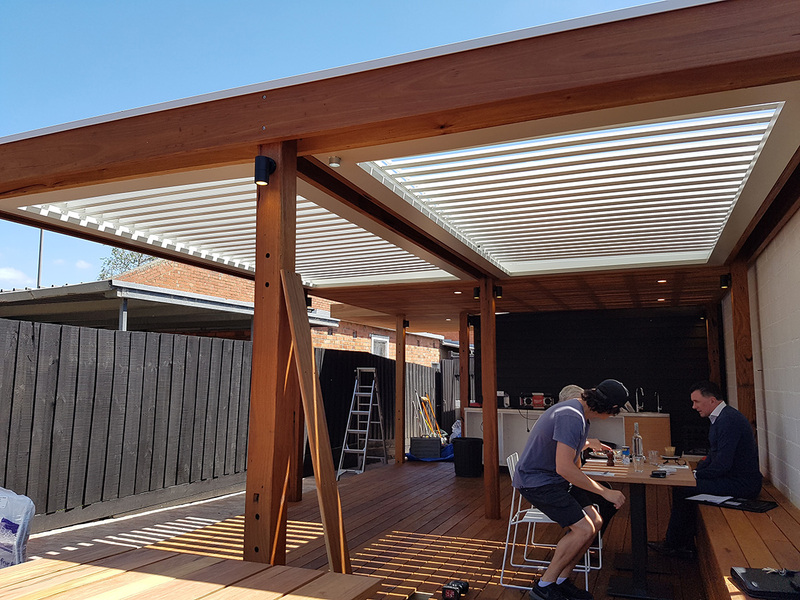 In conjunction with builder Wis Construction we coordinated the timber pergola build to suit the operable louvres. 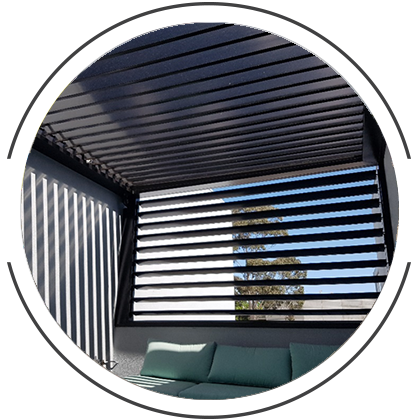 The operable motorised louvres are the benchmark in shading courtyards providing a variety of flexibility to patrons and owners. 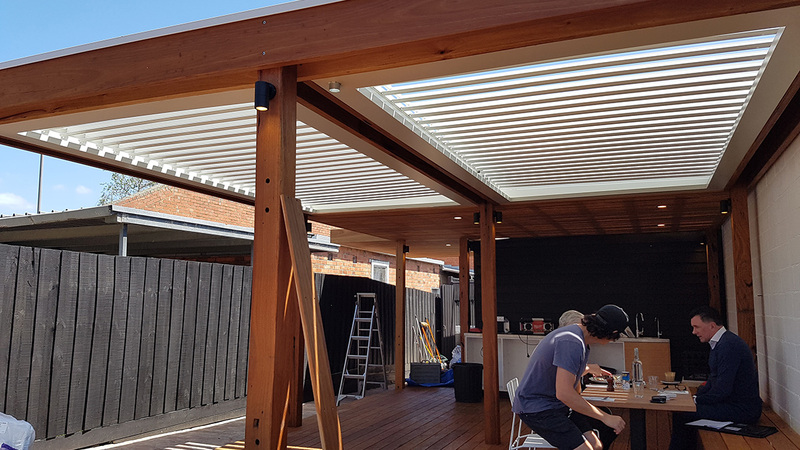 We installed two bays of louvres spanning just over 2 meters, running just over 4 meters. 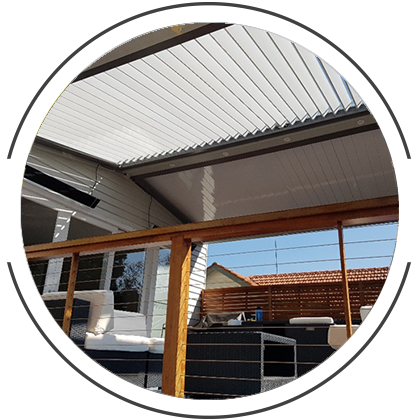 Louvres when closed will catch all rainfall so it is important that all flashing run the entire perimeter of each bay. 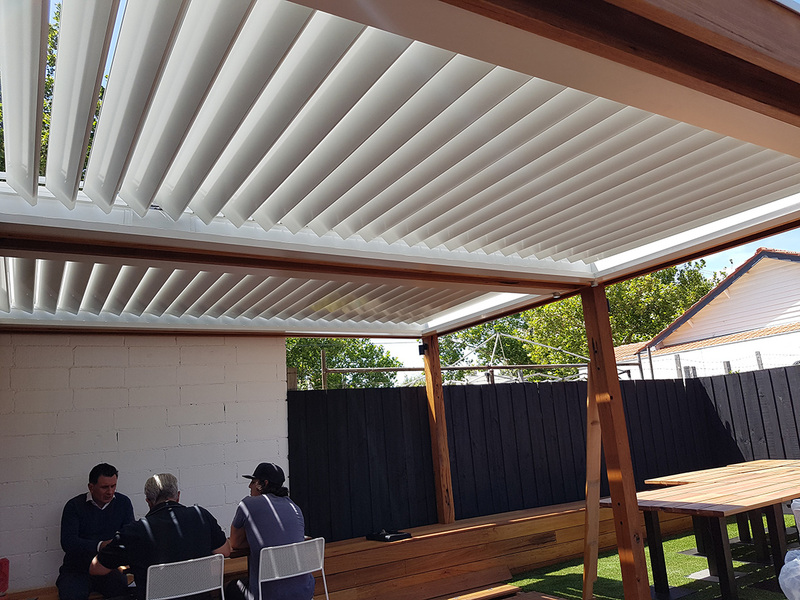 Architect, Builder and cafe owners were all wrapped with the outcome of these exquisite operable motorised louvres, fitting perfectly into the courtyard space. 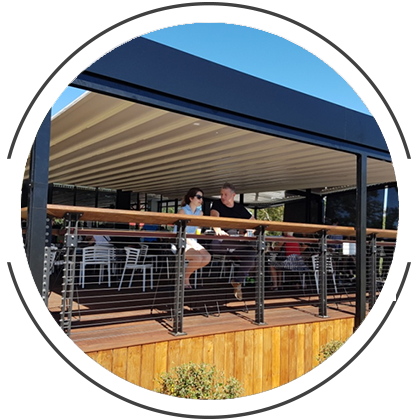 We look forward to with the team again soon.